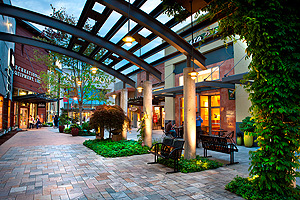 Discover Lynnwood Seattle North: You'll find us conveniently located along I-5 within minutes of Seattle and Bellevue. Enjoy our quality lodging at exceptional rates-typically 40% below downtown Seattle! Explore over 300 stores, dozens of restaurants, 14 city parks, numerous hiking trails and a municipal golf course-all with plenty of free parking. Contact us today for your free Lynnwood Visitors Directory at 425-670-5040 or www.LynnwoodTourism.com.